Important Message : In observance of the Passover holiday our phone lines are currently closed. Our phone lines will resume regular business hours on Sunday 4/28 at 10am EST. Should you need assistance please send us an email at customerservice@Beachcamera.com. 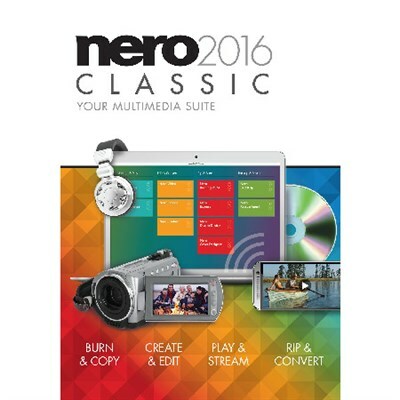 Nero 2016 Classic is your digital companion for videos, photos, music. Burn, edit, convert, and - thanks to the new Streaming Player App - enjoy your files everywhere.